Regina King Reigns In Hollywood As Both Actress And Director The actress has successfully navigated working both in front of and behind the camera. She's won an Emmy for her television work, and she's in demand as a director on shows like Animal Kingdom. Regina King directs an episode of the TNT drama Animal Kingdom. It's good to be Regina King. For decades, she's worked in front of the camera as an actress. Now, she's building a career in the director's chair. On the Warner Bros.' backlot in Burbank recently, King commanded the cast and crew of Animal Kingdom, TNT's new dramatic series about a family of outlaws in Southern California. It's based on an Australian movie; this version features Ellen Barkin as the matriarch, living with her four bad boy sons in a ranch-style house full of skateboards and surfboards, complete with a real, working swimming pool. As guest director of the new series, King has to match the tone of the show — and add her own touch. She admits she enjoys calling the shots: "I like control," she snickers. King says directing Barkin was a dream come true. But at the premiere of Animal Kingdom, Barkin tells me that at first she was taken aback. "I was like, that's not gonna work out for me. I can't act for Regina King," Barkin says. "I'm way too intimidated. I'd be shy and worried that she could do it better than me." But Barkin says she did enjoy how creative and understanding King was as a director. The show's creator, John Wells, says he invited King to direct this episode, having been impressed by her acting and guest directing on an earlier show of his, Southland. "I had no doubts that she would be able to do it, because of who she is. She is very intelligent and also empathetic and she can be tough without seeming unpleasant, in some way," says Wells. "The problem she has as a director is she's such a damn good actor, so it's — when is she gonna find the time to do it?" Between acting and directing, the very busy Regina King runs a production company with her sister Reina. They've been professional actors since they were kids, born and raised in Los Angeles. Regina's first role, at 13, was on the 1980s family sitcom 227. She played Brenda, Marla Gibbs' good-natured daughter. "I was probably taking notes in my mind back then that were preparing me be to a director now." says King. "Marla Gibbs was an amazing mentor-slash-other mommy, as I call her and she calls herself. She was teaching me the importance of hitting my mark and how to deliver my lines openly to the audience without looking like I'm on stage delivering lines." 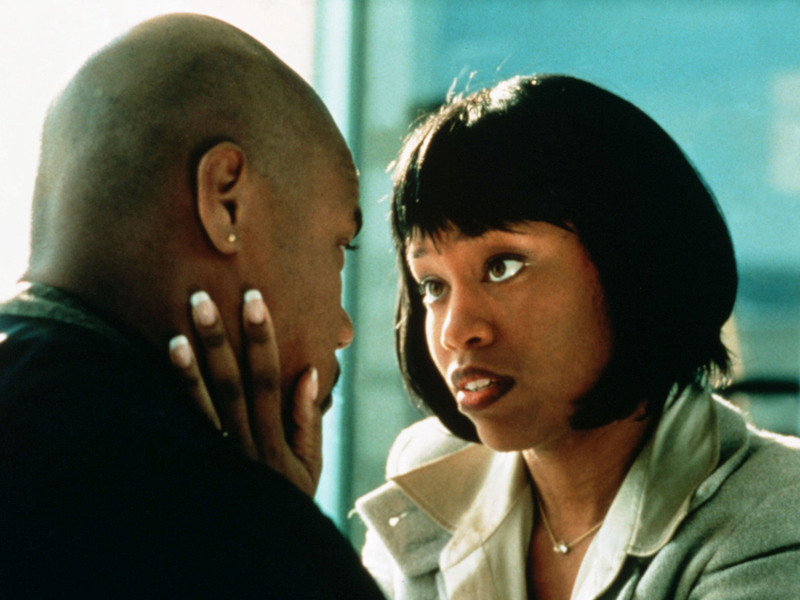 After 227 ended, King took a 180 from the Brenda character to play what she describes as a more "ghetto" role, in the gritty 1991 drama Boyz N the Hood. In another movie by John Singleton, Poetic Justice, King played Janet Jackson's sassy homegirl. The movie roles kept coming. You may remember her as Cuba Gooding's savvy wife, negotiating his contract in the 1996 movie Jerry Maguire. King as Cuba Gooding Jr.'s savvy wife in Jerry Maguire. That same year, King had a son, who she's raised for the most part as a single mom. As she's matured, so have her roles. For example: Margie Hendrix, the talented singer-done-wrong in the 2004 movie Ray. King continues to reign on television — from cartoon voices on Boondocks to starring roles on Southland, The Leftovers, Shameless and American Crime. "If you want to look for the common denominator in the roles that I've played," King muses, "maybe a very large part of them are women that just are huge energies. They're just kind of force-of-nature type of women." King is not afraid to speak her mind. Six years ago, she had tuned into the Emmy Awards, hoping to see her friend and fellow 227 alumna Alaina Reed Hall recognized during the "In Memoriam" segment; Reed Hall, who also had a long run on Sesame Street, had died that year. First, King was startled to see another actress — True Blood's Rutina Wesley, identified on-screen as "Regina King." And then "In Memoriam" came and went — without mentioning Reed Hall. The two slights made King furious. "At that point," she recalls, "my blood just started boiling." She wrote a letter that was featured in the Huffington Post under the title "The Emmys: As White as Ever." "I opened it laying down the statistics, because I'm not making this up," says King. " I sent it to my team and they all supported me and they all said, 'you do realize what you're doing?' I said, 'yeah, I'll probably never be nominated for an Emmy or anything, but it's fine.'" You know, I fall into the double minority. And I recognize how many women directors got a lot of feet in the teeth for me to get to where I am. They were treated really, really, terribly on sets. I have been lucky. Last year, King was nominated for an Emmy, and won for her portrayal of a passionate Muslim sister on the TV series American Crime. 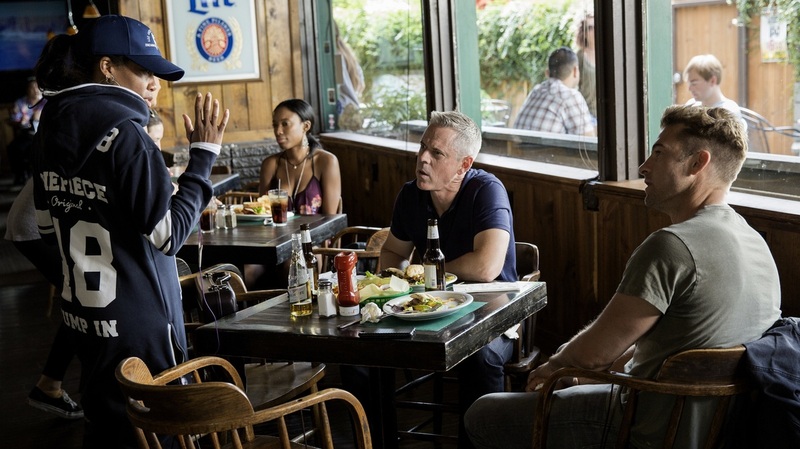 "People could absolutely see the heart that she was bringing to the character, the depth of passion, the strength of faith," says John Ridley, who created, wrote and directed American Crime. He says he's extremely proud of King's work. "I don't even think, going in to it, we realized how sensitive people would be, some people, or how insensitive some people would be to the portrayal of a Muslim American. And for Regina, it was just absolutely fearless." That courage also impressed Betsy Beers, an executive with Shonda Rhimes' production company ShondaLand. She watched King grow into a director who was asked to work on shows like Scandal and The Catch. "She's just got a phenomenal presence," Beers says of King. "Simply powerful, and present, and very calm. She's the real deal." King is now one of the few women — African-American at that — who is directing in Hollywood. "You know, I fall into the double minority," King says. "And I recognize how many women directors got a lot of feet in the teeth for me to get to where I am. They were treated really, really, terribly on sets. I have been lucky." Regina King continues to be in demand as a director and an actor: Her dream is to portray the late Shirley Chisholm, the first black congresswoman, who ran for president in 1972. In previous audio and Web versions of this story, we mistakenly said Rep. Shirley Chisholm was the first woman from a major party to run for president. In fact, Sen. Margaret Chase Smith ran for the GOP nomination in 1964, eight years earlier than Chisholm's run.